2 Bedroom Maisonette For Sale in Nottingham for Asking Price £130,000. Two bedroom ground floor maisonette which would be ideal for a first time buyer or someone looking to downsize. 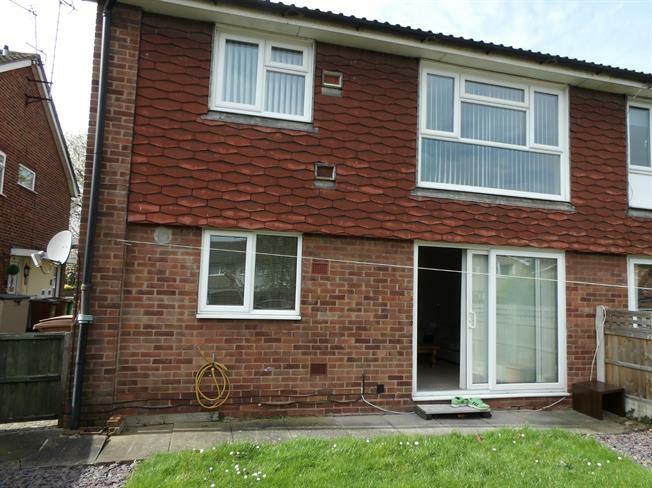 The property is on a long lease and benefits from double glazing, gas central heating, fitted kitchen and a garage. The accommodation comprises entrance hall, lounge, fitted kitchen, two good sized bedrooms, bathroom with Jacuzzi bath. Enclosed rear gardens, garage in a block. NO CHAIN. Double glazed uPVC window facing the rear. Plinth heater, tiled flooring, part tiled walls. Wood work surface, wall, base and drawer units, Belfast style sink, space for oven, over hob extractor, space for washing machine. Double glazed uPVC window facing the side. Heated towel rail, tiled walls. Low level WC, jacuzzi, shower over bath, pedestal sink. There is an enclosed rear gardens comprising lawn, fencing. Storage shed. There is a garage in a block with an up and over door.